So you’ve made the decision to get into triathlon. Maybe you’ve already been training or even racing for a while, but still consider yourself being in the starting blocks. Whatever the case, no time is better than now to take a moment and analyze what to do, and what not to do, as you continue down Swim-Bike-Run lane. 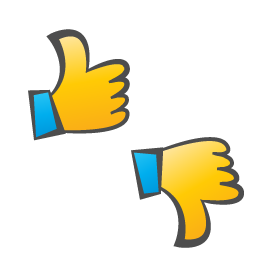 One great way to do that is to ask people who have been on the same path what they did right and what they should have done differently when they were first starting out. Don’t know any experienced triathletes? Not to worry, that’s exactly what this post is all about! 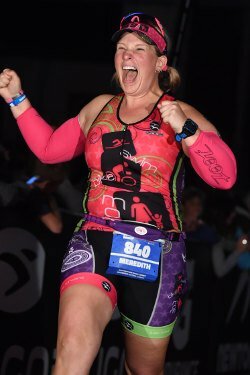 Six age-group triathletes from the triathlon blogosphere (I encourage you to check out their blogs for some really amazing and inspirational stories!) share their thoughts on those very topics, their do’s and don’ts for beginner triathletes if you will, in their very own words. What I did right when I first started out in triathlon. 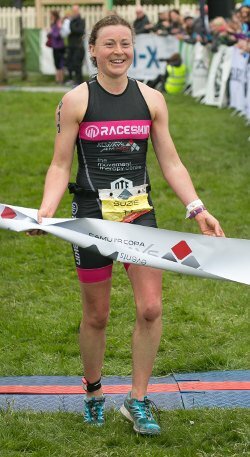 What I wish I would have done differently when I first started out in triathlon. There are some great take-aways in their stories, so let’s jump right in! "Keep the journey in mind as you proceed, not just the destination.​"
"I maintained a sense of humor. My first wetsuit was the Orca brand. And when someone starts out in the sport and is the size of a small whale, and buys a wetsuit with "Orca" plastered across the chest—well, you know you have to maintain a sense of humor, or find another sport altogether. I was "all in". I became a student of triathlon—I really wanted to know the rules, how to race and the proper etiquette. I hired a coach, even early on, so I knew that I would have a great base. I wanted to make sure that I was safe (and kept those around me safe) during races and training as well. My mantra from the beginning was "just keep moving forward" and I applied it every day to everything. Training, racing, and life. I think keeping a positive mindset is key to everything in this sport—well, and life, for that matter." "I rushed through the distances. I went from couch to Ironman in two and a half years, and that was a little too fast. I could have learned to run more efficiently, get stronger on the bike and faster in the swim before tackling such a challenge as Ironman. I would encourage others to really take their time at each distance, and enjoy the process. Keep the journey in mind as you proceed, not just the destination.​"
"Now I realize you need to train as a triathlete, not a swimmer, cyclist and runner combined." "I joined my local triathlon club Leeds Bradford Triathlon in 2012. 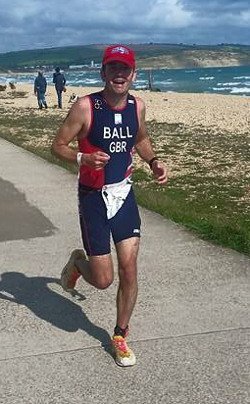 I took advantage of the different club coached sessions, especially the coached swim sessions and got to know lots of other triathletes who gave me the lowdown of what local races were the good ones to have a go at. It was great to turn up to races and see some friendly faces as you rack your bike in transition and try and get the wetsuit on at 6am on a Sunday!" 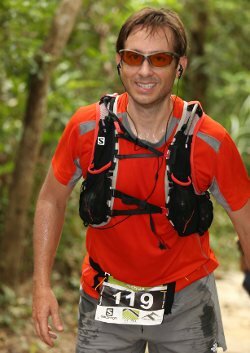 "I had been a runner before dabbling in duathlon and then triathlon. When I started triathlon, not only did I join and train with Leeds Bradford Triathlon club, but I was a member of the Leeds City running club and Alba Rosa cycle club. My biggest mistake was trying to be a runner, a cyclist and a swimmer, and thinking triathlon was just a combination of all three. I would try and do all the run sessions, all the bike rides and all the swims. The problem was, all the runners were doing was that one run for the day, whereas I had already done a swim so was going to be tired. Trying to keep up was a losing battle. Now I realize you need to train as a triathlete, not a swimmer, cyclist and runner combined. I now pick and choose say one cycle ride with the club, one or two swims sessions with my masters’ swim group and the occasional run with the runners. Then I do a lot of my training that is designed for me, by myself. Therefore, training is more specific for the events I am doing and my needs rather than jumping between different group sessions." "One of the best things I did when I started triathlon was to seek help from others." "One of the best things I did when I started triathlon was to seek help from others. 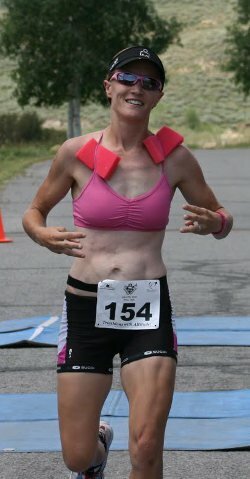 I started online using message boards like to beginnertriathlete.com, then I joined a local triathlon club and got active (I became webmaster), and finally at the end of my first season I hired an online coach. 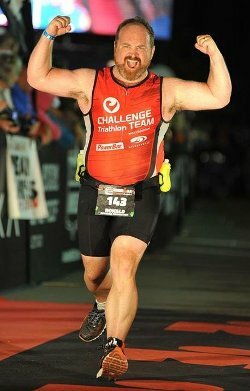 Over the years I have added others to Team Ronbo, and without the strong foundation of support and encouragement, I never would have made it from Fatman 2 Ironman and dropped 150lbs in the process." "I would have not hesitated to get a coach. I spent the first 8 months getting sick every 3 weeks (literally!). I now know this is because I was over training, constantly, and my coach has been a perfect one to lean on to do enough without doing too much. Thankfully I did not get hurt. In retrospect though, I was begging for disaster by doing as much as I did as quick as I did." "That first day I didn't care where I finished, I just wanted to enjoy every aspect and complete the course with a smile on my face." "I chose a local event and familiarized myself with the course well in advance of race day. There was no extra expense or unnecessary travel in order to compete. I could just drive 20 minutes down the road in the morning. No fuss, I just turned up and got stuck in. I am also very glad I simply enjoyed it. As you progress in the sport it is somewhat inevitable that you will put more pressure on yourself to perform in your races. But that first day I didn't care where I finished, I just wanted to enjoy every aspect and complete the course with a smile on my face." "Looking back I didn't train enough for the run. I didn't enjoy running because I wasn't very good at it, so I avoided it. Now, I would always tell people to face their weakness head on, because that is the only way to beat it. Once I realized that and trained properly for the run, it came on in leaps and bounds. I also regret being intimidated by all the people turning up with thousands of pounds worth of kit. In my head because they had the £5k bike and I was on my old mountain bike, they were bound to be better. However, I soon came to realize that the people with all the gear are often compensating for their lack of training by trying to cut corners with expensive and impressive sounding kit. There is no substitute to good honest consistent training, and I wish I had realized that sooner." "As long as I have an event I'm signed up for—one that scares me—then I somehow get the training in." "I learned what motivated me to get up in the morning and stick to my training, which was being signed up for an event. When I'm not signed up for an event, it's too easy to sleep in, take a few days off, and before I know it I'm completely out of shape. As long as I have an event I'm signed up for, one that scares me, then I somehow get the training in.."
"I started out too fast, and I still do it. When I first got into triathlon I increased my running too much, too soon. I finally woke up one day, put my feet on the floor, stood up, and fell down. I couldn't walk. My knees would collapse on me. That hasn't happened since, but I still struggle with training too hard, starting races too fast, and I always end up paying for it. Sometimes to go faster you have to slow down." "I realized that naturally talented or not, we all have to work hard, and it always hurts on race day whether you finish first of last." "I didn't get caught up in fancy gear or spend a lot of money. You don't need the highest end gear from the get go. I raced on an entry level aluminum road bike with clip on aero bars for 12 years before getting a tri bike and still don't have aero wheels or an aero helmet. It's about the engine first, not the machine. Don't stress over not having carbon everything. The nicest gear in the world won't replace hard work. Put your money into good running shoes and a proper bike fit. Swim with a master's group and use the many free training plans online if you can't afford a coach." "For years after I started triathlon, I let myself judge the character of and be intimidated by those ahead of me. I assumed they were snooty and 'cool kids' that would't associate with me. I assumed they had it easy and didn't have to work hard like the rest of us. I was wrong. I finally started just smiling toward them and said hi to a few at a race one day. And you know what? They were so friendly, and -gasp- just like me! Maybe they'd been in the sport longer and built a greater endurance, strength, and speed base. Maybe they were naturally talented, but as I progressed upward in the sport I realized that naturally talented or not, we all have to work hard, and it always hurts on race day whether you finish first of last. I make it a point now at a more elite level both online and in person, to make myself just as socially available to everyone. We're all out there to have fun and better ourselves and we all face challenges." Just completed my33rd year in tri-all good tips. I wish I would have had someone to actually TELL me stuff going into my first one in 1982 which turned out to be some random distance that approached a half ironman. The sport has changed SO much! Still having fun though after all these years! Cheryl, wow, you’ve been in the game for a long time! It would be fun to be able to time-travel back to 1982 and experience what it was like, and I can imagine that there wasn’t a lot of information out there back then, and you had to go by trial and error. 33 years, and still having fun, it’s a good thing we’re in such an amazing sport as this!